Today ended up being a lot bigger than Star Wars fans were even hoping for. 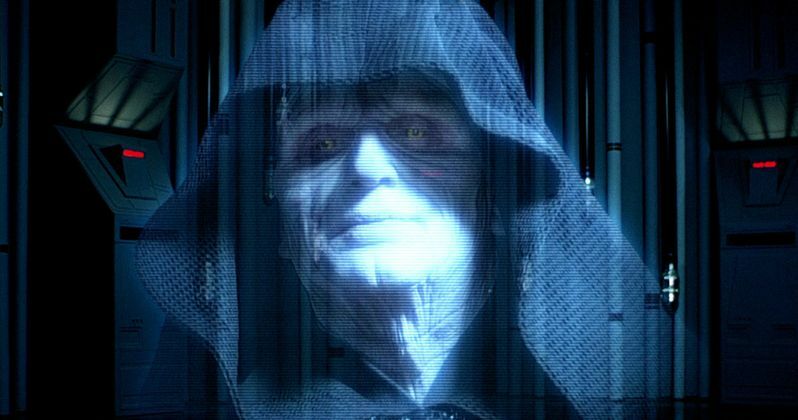 Star Wars 9 is officially titled Star Wars: The Rise of Skywalker and it features the return of Emperor Palpatine. This not a joke. In the first trailer for the movie, we hear Mark Hamill's Luke Skywalker say, "We'll always be with you... No one's ever really gone." Just as he finishes that sentence the old familiar laugh of Palpatine actor Ian McDiarmid cracks across the speakers. McDiarmid appeared on stage at Star Wars Celebration and made the crew run the teaser trailer again. Okay, so nobody is ever really gone, according to Luke Skywalker. That doesn't explain how Emperor Palpatine is back for The Rise of Skywalker at all. Before the first footage rolled, J.J. Abrams had this to say. Are they going to be able to fight back against the Emperor? Will Kylo Ren switch sides after striking down Supreme Leader Snoke? There are so many questions as to how this powerful villain can return to the Star Wars franchise. Star Wars fans were all hoping for some twists, and this is certainly a big one to give away right out of the gate. Rumors of the return of Sheev Palpatine have been swirling for months, but they were treated as outlandish and not many people believed it at the time. However, it is all true and has been officially confirmed by the The Rise of Skywalker trailer. J.J. Abrams is going to have a lot of explaining to do. Darth Vader famously killed Palpatine in Return of the Jedi after he couldn't stand to see him torture his son, Luke Skywalker, any longer. However, it looks like he may have survived, though we have no idea how that's even possible. Palpatine's voice can be heard in 2015's The Force Awakens when Rey touches Luke's Lightsaber, which originally belonged to Anakin Skywalker. The villain is mentioned in The Last Jedi under the name Darth Sidious by Luke when he's talking to Rey about the fall of the Jedi Order. Elsewhere in the Rise of the Skywalker trailer, we are treated to our first look at Billy Dee Williams back as Lando Calrissian. Fans at Star Wars Celebration were treated to a Williams appearance and were very enthusiastic about seeing the 82-year old iconic actor on the stage. He was only shown for a brief moment in the trailer. The same can be said about the late Carrie Fisher, who was also shown briefly in the trailer, giving Rey a tearful hug. You can check out the The Rise of Skywalker trailer below and listen for the return of Emperor Palpatine, thanks to the Star Wars Youtube channel.